1. Get feedback on your sponsorship. While it’s fresh on everyone’s mind, ask your team members who attended Dreamforce to email you 3 things that worked well this year and 3 things you need to improve before Dreamforce ’16. Combine all feedback into a spreadsheet, and store it somewhere you’ll be able to easily find for next year’s planning. We did this last year, and it worked great. We’re now combining feedback from year-after-year into one Google Drive spreadsheet, which will continue to help optimize our presence at future Dreamforces and conferences in general. 2. Have a messaging meeting. Again, the sooner you can do this one, the more value you’ll get. There’s something incredibly powerful about being able to stand in front of buyers and watch their reactions or hear their questions as you discuss your solution. Make sure to harness that. Gather your team members today, so you can all share what you learned. With our messaging, what kind of language got prospects excited about us? What kind of language didn’t excite prospects, or confused them? What kinds of personas did our booth draw in? What are the most common questions we heard at the booth? What kinds of product features got prospects and customers most excited? What else we did we hear from our customers in particular? In what context did our competitors come up? What did we learn about them? What did we hear about our company in general? Does anyone else have anything to share on general Dreamforce feedback? 3. 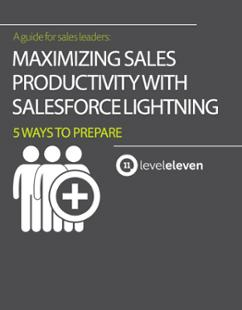 Build a campaign to keep Dreamforce leads top-of-mind for your sales team. Make sure to fit in these 3 steps today, to take you even closer to maximizing your conference investment. And while you’re at it, don’t forget to some time to celebrate, too. We’re sure you nailed it last week. If you sponsored Dreamforce this year, we know you're slammed today. Just don't forget to do these 3 things.